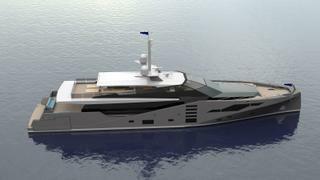 The yacht will be an "anti-radar vessel"
British design house Peter Bolke Design has teamed up with Ocean Independence to present Stealth, a 46 metre anti-radar vessel. 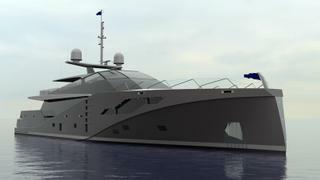 Headed up by Bolke, who spent over two decades as a designer at Dubois Naval Architects, Peter Bolke Design has provided the exterior design and naval architecture for the concept. 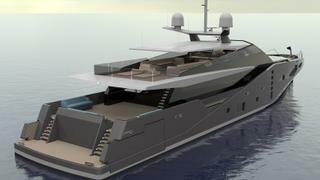 Built in aluminium, Stealth 46m ARV exhibits “striking naval styling” and the chance for “serious buyer customisation”. The pleasure yacht has a 499GT interior and has been designed as a “countermeasure to the standard superyachts currently available,” according to the designer. Accommodation is for 10 guests in five cabins, comprising a full beam master suite. The crew quarters, meanwhile, which include a mess and laundry room, accommodate a staff of eight in four twin cabins. With a beam measuring 8.9 metres, Stealth will be powered by 1200hp TBA engines for a top speed of 16 knots and range of 4,800 nautical miles at 13 knots.